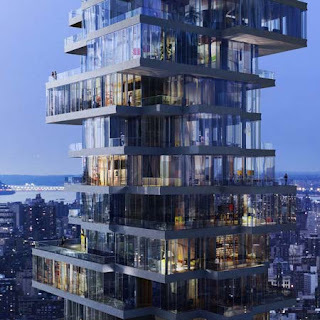 New Yorkers are talking about Herzog & de Meuron's 56 Leonard project- a 57 story residential complex in Tribeca that architects describe as “houses stacked in the sky,” but that wont be for those scared of heights. Fall 2010, residents will start calling the $650 million luxury building home where residences, all 2 to 5-bedrooms, will range from $3.5 million to $33 million. 56 Leonard Street, New York - Herzog & de Meuron promo video from fcbtudojunto on Vimeo.